Services that put a good impact on the customers are the ones that get noticed and are able to move in a direction that is profitable for their brand. Every customer that has ever thought of getting their hair styled would have loved the idea of trying something new. It’s not just styling that a hair salon has got to do but they can definitely venture into skincare if they have the resources. The idea of providing multiple services to the customers works well and in the favour of the brand that wants to grow real quick. In a conversation with Hair & Byond, the brand tells us about their journey, the problems they have faced while making their brand grow and many more. Elegant, chic and modish, this unisex salon in Bengaluru is sure to bowl you over with its cutting-edge styling and hair and skin care. Strategically located at one of the city’s upmarket localities, Hair & Byond is a trusted centre for its clients, who swear by its effortless services and great value proposition. With a pool of highly skilled experts attending to their guests, the brand ensures it lives up to the promises slated by its patrons. From changing hands to building the brand from scratch while retaining the trust it had acquired over the years, Hair & Byond managed to have a jolly ride through tumultuous periods. 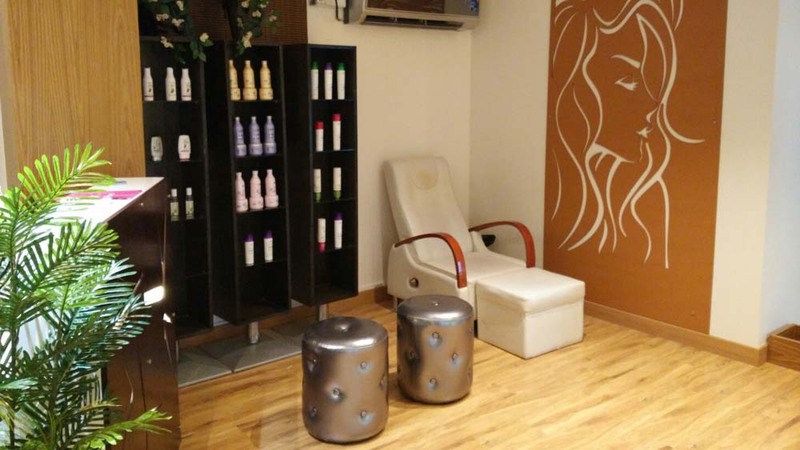 Kickstarted back in 2011 by Priyanka Bajaj, a professional engaged with biggies from the Indian film industry, the brand was known for its superior salon services and personalised attention. Under Bajaj’s mentorship, the team extended expert beauty treatments and styling, placing it a notch above its competitors. In 2015, the brand was taken over by three ladies Deepthi K R, Vishnupriya M and Arundhati Srikanth, its current directors and underwent a massive revamp to cater to the changing market dynamics. Adorning an uber-stylish look, the salon was all-ready to invite its clients to advanced beauty regime and trends in vogue. “We were keen on venturing into the health and wellness space and were studying the market patterns when we met Bajaj. The commercial presence of the outlet and loyal clientele intrigued us to take over the brand and expand it further,” asserts Arundhati. The major challenge for the brand was to expand its identity and create its own niche space in the market. Rigorous marketing initiatives were floated supported by online promotions to give the brand a new outlook, capable of competing with national brands in the vicinity. Another challenge laid in retaining the crew and customers. “We believed in the skillset of the team and did not wish to part with them. We extended all support in enhancing their expertise and building the team parallel to the brand. Also, we kept a close tab on the quality of our services to ensure our clients received the best in the industry,” states Deepthi. Apart from offering valued services at economical prices, Hair & Byond floats attractive packages for its guests and this without tampering the quality. Partnered with Zooty and Nearby, customers opting through the digital mediums receive a flat 20% discount across verticals, irrespective of the billing amount. Currently, the beauty industry is highly competitive with a number of brands entering the market each day. However, prospects of its success continue to be high, given the increased awareness and need of people to look stylish and keep up with the changing trends. The risk quotient involved is low compared to the profits yielded. “The industry runs on customer relationships. The better bond you crack with them the better chances you have of retaining them. People are prone to come back to a jovial and soothing environment than keep hoping to various outlets. The faith built between a stylist and his client is supreme,” quips Vishnupriya. Hair & Byond, currently, has only one centre in Koramangala and plans to evolve the same, adding spa services to its regular salon regime. Plans of setting up other centres across the city are also ripe but no definite time has been slated for the same. About Us: India’s first conveyor belt restaurant &..
Steps to Build a Franchise Brand..
How to Start a Food Truck Business in India..
Keeping the Local Essence in Food.. Turn your hobbies to business with low investment..
What to Look in a Franchisee..
A Package Loaded with Fun and Experience.. Elements of Successful Restaurant Design.. The Future of Indian Ayurveda..
Ramen, an Evolution of Model Soup Phenomenon..
Creative Ways to Showcase Business Skills.. This Bengaluru Cafe is Promoting Veganism..
Top LTOS to Look Out This Season.. The state of Beauty and Wellness industry..
Redefining The Indian Fitness Industry..
What Goes Into Having a Multiunit Franchisee?.. What the World Thinks About Gamification?.. How to Start a Martial Art School Biz..
Fostering Education Through the Right Fit for Stud..